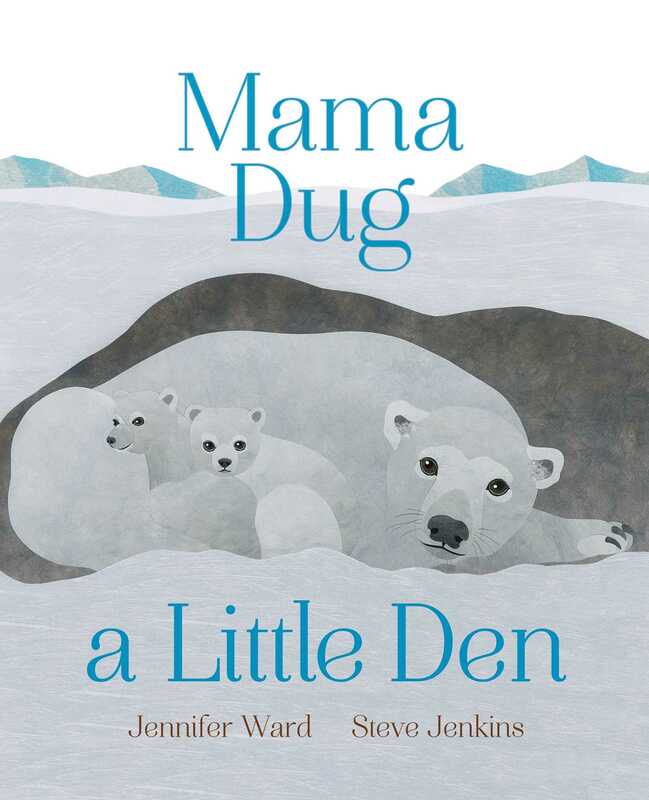 Summary: Each two-page spread has a rhyme beginning with the line “Mama dug a little den” (“Mama dug a little den/beneath a fallen tree./An earthy home as soft as moss,/a nursery for three” is the first one about red foxes). A smaller paragraph gives additional information. 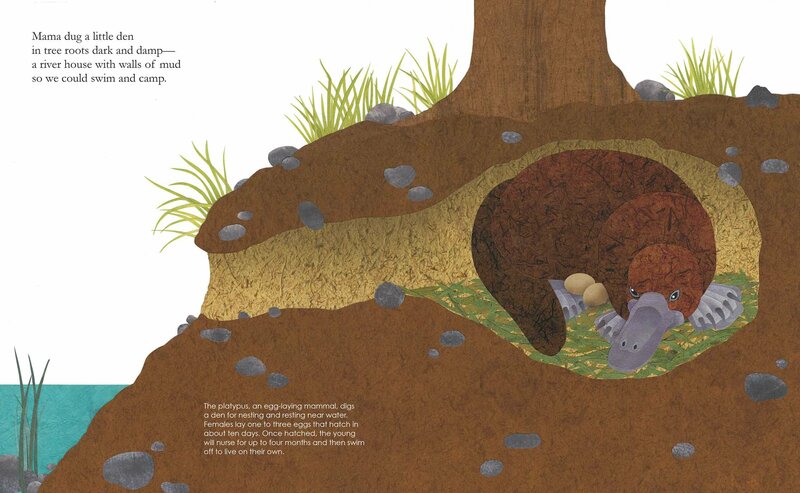 The illustrations are in Steve Jenkins’ signature cut-paper collage style, and show the animal in its den and some of the surrounding habitat. A final page contains a note from the author about how she came to write the book, and some additional information about what to look for if you find a den to determine what kind of animal lives there. 32 pages; ages 4-8. Pros: In this follow-up book to Mama Built A Little Nest, preschoolers will learn a bit about animal homes and how to discover them in their own backyards. As president of the Steve Jenkins fan club (well, I would be, if there were such a thing), I appreciated the beautiful illustrations. Cons: The back matter was so small and unobtrusive, many readers may miss it. A Mother’s Day story in addition to younger reader’s introduction to informational text. The pictures are adorable!